For members of the public PVD aims to provide a national directory of skilled, proven, and insured car care professionals who can be trusted to provide a reliable service and a high quality of workmanship. For its members, PVD aims to provide a support network to guide the development and accelerate the success of their businesses. This includes exposure, technical skills, and business advice. For the car care industry, PVD aims to provide a accessible medium that allows professionals to engage with, and contribute to the industry as whole. It is also well placed to represent the industry. Members are required to consider the safety of themselves, their employees, their customers, and third parties at all times. Members are requested to complete comprehensive risk assessments for all common working environments, and update them on a regular basis. Members are requested to have easily accessible Safety Data Sheets (SDS) in both mobile and unit-based working environments. Members are requested to have suitable Personal Protection Equipment (PPE) for all the types of process they carry out. Members are requested to restrict public and client access to danger zones when in operation. Members are requested to notify employees, customers, and third parties of any risks they might encounter in and around your work area. Members are required to comply with any other H&S requirements as set out by their insurance policy, landlords, or third party environments. Members are requested to consider any environmental impact their working practices may have, and take steps to minimise them. Members are requested to comply with all local and national environmental laws that may apply. Members should only offer services that are within your skill-set and experience. Members should only supply services that are covered by their insurance policy, or sort extra cover for specific jobs (e.g. Aircraft). Members should always work to the best of their ability and ensure customer satisfaction. Members should never attempt to miss-lead, miss-sell, or over-promise services to their customers. Members should always advice customers as to what they can expect prior to providing a service. Customer expectations should be managed pro-actively. Members should always explain their terms and conditions to clients prior to providing a service. Members need to make their terms and conditions publicly view-able, ideally on their website, and linked to in their email footer. Members must have appropriate and thorough terms and conditions in place, PVD supplies a template from which you can create your own HERE. Members must maintain their insurance cover at all times. Members must have appropriate insurance for the services they provide, with written proof from their insurance company or broker. Members must inform PVD of any changes to their insurance, including renewals and cancellations. Members must not undertake work that they are not insured for. Service pricing is at a members discretion but it must be deemed sustainable. Members price lists should not mislead customers. Members must agree a price and service level with customers prior to work commencing, ideally in writing. Members must make customers aware of their payment terms prior to commencing work, and to get customer agreement, ideally in writing. It is strongly recommended that members utilise the pre-work forms provided free by PVD - available HERE. It is strongly recommended members take thorough and detailed photos both before and after services have been provided for their own protection. Members should always be well-presented, courteous, and helpful with customers. Members are expected to pro-actively resolve any customer complaints. As long as appropriate procedures have been followed, PVD may be called upon to arbitrate disputes between members and customers. 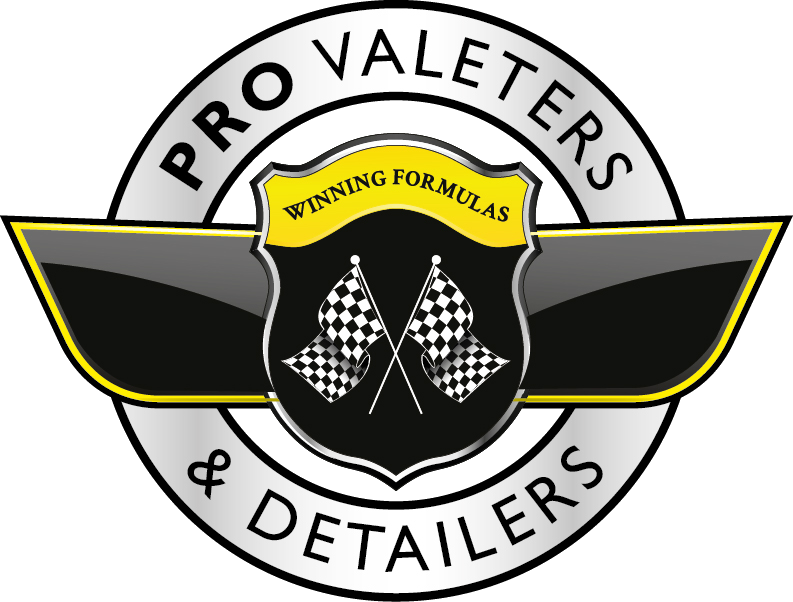 Members are expected to use precise and accurate terminology for the valeting and detailing services offered. All services offered should have their constituent processes listed, along with time ranges dependant on the size and condition of the vehicle. Members should endeavour to make their services transparent and comparable to industry accepted standards. More information and guidance is available HERE. Members should not try to promote themselves by criticising other individuals or organisations - regardless of whether or not they are PVD Approved companies. Members should always seek permission of their customers prior to publishing pictures of their vehicle - even if using show plates. Members should be careful about the backgrounds of their photos, particularly if taken on private property or include adults without their permission, or children without the permission of their legal guardians. Members should refrain from posting contentious topics on their business page - such as religious or political views. All images and text posted online should belong to the member - or be used with the express permission of the owner, and clearly credited to the owner. Members should not lay claim to work that wasn't theirs. If more than one company has been involved in the preparation of a vehicle, the other company or individual should be credited. Members should not use profane language when posting online. Members should not use racist, sexist, or homophobic language under any circumstance. For those seeking advice on a particular topic, please post with as much detail as you can muster. Please title your post 'Technical Advice'. Then other members will reply with their opinion. Please remember to thank those who have taken the time to assist. Prior to posting, please use the search box on the left hand side (desktop) to see if the question has already been asked and answered. If there is already a thread on a similar topic, latch on to the end of it rather than starting a new thread - this way all the info on a particular topic is in one place. When replying to a post requesting advice, please read through any existing comments, and if there is one that is essentially saying what you would suggest, feel free to simply 'like it'. If there is a reply that suggests a system that you wouldn't use there is no need to criticise it. Given how many products are available, some people will have their own personal preference. In many cases there will be more than one product that does the job required. As before, post your question with as much detail as possible - ideally with 'Product Advice' at the top. When replying to a product question, please put the manufacturer and full product name - while those familiar with a brand may know the acronym, not everyone will - equally, the recommendation might be misinterpreted as something entirely different. Prior to replying, please read through the existing responses in case some one has already recommended the product you would use - then simply 'like' that comment. It saves time and keeps the posts concise. Asking how much to charge for a job will likely engender a broad range of suggestions - many of which may not be suitable as your business will have different overheads to other businesses. Instead, why not ask 'How long would you allow for this job' - then you can apply your own hourly rate and come up with your own price. When replying to a question on pricing, please focus on the time it would take you, rather than the rate you would charge. In some cases it might be worth listing the processes you would go through and how long they would take. Then if someone comes up with a dramatically different time estimate, it will make more sense when itemised. Again, if someone posts something you don't agree with - ignore it - in 90% of cases there is no definitively 'right' answer. Everyone works at different speeds, using different processes, and have a different opinion on how far one should go. The PVD Showcase group is there to allow like-minded members to share their work with each other. Please be aware that it is a private group of purely members, so not a forum in which to try and sell or promote your work - it is purely for mutual appreciation. Please also be aware that, as a closed group, members may share work that is not for public consumption - please respect their privacy. The For Sale and Wanted group is for members to sell unwanted products and equipment. If you are a supporter, you may offer new product (as in not second-hand) in the For Sale and Wanted Group - ideally keep it to special offers. If you are not a supporter, you may not sell new stock on the PVD groups. (excluding unopened bottles/kit that you just don't want). PVD can take no responsibility or liability for the products sold on the group, however, if there is an inter-member dispute arising from a sale on the PVD For Sale group, PVD will arbitrate between the two parties if required. Ridiculing Third Parties: Those criticising another company or individual - this could be a local valeting company or a car-park hand washer - we all know there are bad eggs out there, but let us focus on our own businesses. Photos of other people washing cars inappropriately etc will also be removed - there are plenty of other online forums for things like that if you need to get it out of your system (though we would suggest keeping your company and brand away from such posts). Offering Training Services: Only PVD Approved Trainers or supporter organisations with training services listed on this site may offer training services on the group. This is because we need to vet all training services to ensure they meet certain standards. Selling Posts: For unwanted or second hand gear, please use the For Sale and Wanted group. Please use the PVD Showcase group to show off your work - many members enjoy looking at other members work, many members see enough cars on their news feed and want to be able to switch off a bit more. This is why we created a separate showcase group. Swearing: Posts or replies with swearing in will be removed - it's just not necessary - there are enough words in the British language to negate the use of expletives. Topic: This is a group about car valeting and detailing - while the odd entertaining interlude is always welcome - things like politics and football aren't appropriate. Aggressive behaviour: Communicating through screen and keyboard cuts out a lot of the body language and normal cues that aid peaceful parlance. Thus discussions can quickly go down hill - particularly when people are failing to interpret or communicate particularly well. If a thread appears to be getting heated, it will be removed. If a particular member is frequently involved with arguments, they will be removed from the group. The group is not somewhere to vent or take out your bad mood - it is not fair on other members, nor on the moderators of the group. Racism, sexism, homophobia will not be tolerated UNDER ANY CIRCUMSTANCE - it will simply be deleted. Many people will have different opinions of what is considered 'socially acceptable' - we will just use our discretion and err on the side of caution in this respect. If your post is removed for this reason, we are not accusing you of being a racist/sexist/homophobe necessarily - it's simply that others may consider it to be racist/sexist/homophobic. Sometimes members have been known to question another members professionalism - this is not your role - if a question appears 'too basic' in your opinion, it's not an excuse to attack them personally or their business. We all start at the beginning, just because some are further along their career development than others is not an excuse to criticise them. All enquiries that we receive directly are passed to the nearest appropriate member. When referred by email, the member will be copied in. The member should reply directly to the customer as soon as possible and copy PVD in so that we know the customer has been replied to. Should a member receive a customer request that they cannot assist with, members should direct the customer to this website to find an alternative if the client was originally refferred by PVD. If you have a complaint about the service PVD supplies as a member, or about another PVD Member, please email us rather than post it on internal or external online sources. The PVD complaints procedure, whether from a member, a customer, or a third party, is a fixed process which may involve peer-review by the PVD Board. If members breach the Code of Conduct or we receive a a legitimate customer complaint about a member, and the member is unable to rectify the situation, the member may be removed from the association. The vast majority of customer complaints are as a consequence of members failing to manage customer expectations, or failing to take due diligence - these can normally be sorted out.